L.I.F.E Animal Rescue’s mission is to place homeless dogs and cats into loving, forever homes. We take special care to match the right home with the right pet, ensuring a lifetime of love for both the pet and the adopter. To ensure the best matches are made, we have a system that has proven effective in determining the best homes for our animals. Our thorough process helps ensure all our animals go into appropriate, safe, loving forever homes. Visit us at our weekly adoption event at PetsMart. If you are unable to come to PetsMart, please contact us at lifeanimalrescue@gmail.com to set up a meeting. After an animal has been selected, you are asked to complete an application that tells us about you and your lifestyle, training beliefs and background with animals. If the application is approved, we conduct a home check for every potential adoption, ensuring the animal will be living in a safe environment. 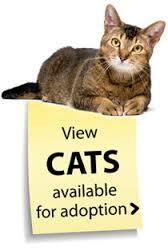 Both dogs and cats are altered, microchipped, dewormed, up to date on vaccinations, and cats are tested for FELV. We also do blood panels on our overseas dogs to ensure health before flight.